In a bowl, mix water, yeast and sugar. Let this mixture stand for 5 minutes. Add the rest of the ingredients and mix it up. Knead the mixture for 5-10 minutes or until the dough doesn’t stick anymore (add more flour when necessary). Cover the bowl with a plastic bag and set aside for 30 minutes. Oil the bottom of a baking tray and transfer the dough to it. Spread the dough with your hands. Let it rest for 10 minutes. Press your fingertips in the dough and make dimples. 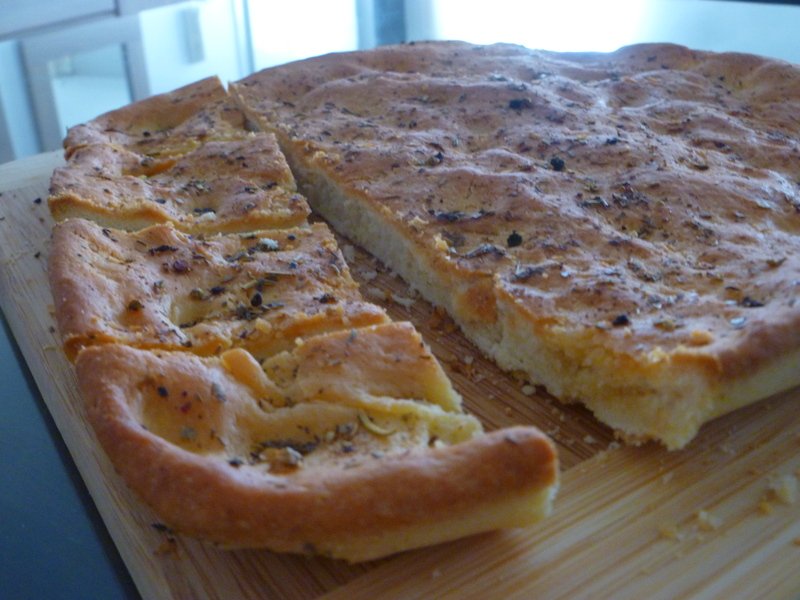 Brush the top with olive oil and herbs and bake your focaccia in a preheated oven at 225°C for about 20 minutes. 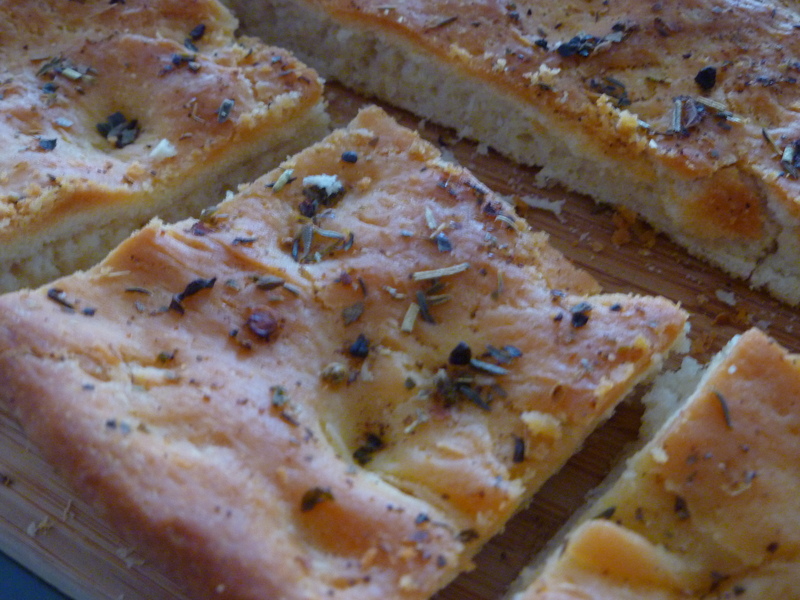 This entry was posted in Appetizers/mezes, Breakfast recipes, Pasta & Pizza and tagged Bread, Focaccia.